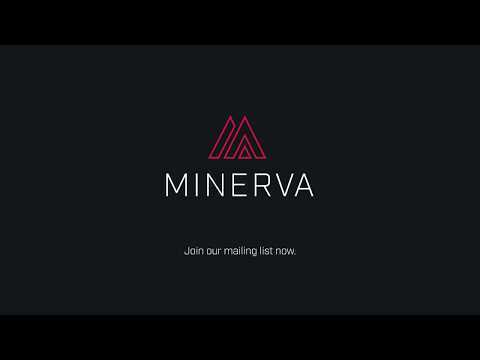 Minerva aims to decentralize payment processing. OWL is a smart token with built-in monthly auto-billing meant to open the subscription economy. It is a "decentralized fed" that employs a sustainable "reverse transaction fee" and a system of bonds for price steadying and positive feedback loops. Minerva plans to create scenarios where it is more beneficial to both buyer and seller to use crypto in place of traditional money. Its first use case is FreeWebcams.com, a $20mm revenue platform in the adult space but pivoting to integration with large, mainstream merchant processors is the ultimate goal. Minerva intends to bridge the gap between cryptocurrency and ecommerce to help accelerate the mainstream adoption of cryptocurrency. How does the project creates value to the ecosystem and differs from competing projects: Minerva introduces advanced methods to combat violent short-term price swings and rewards merchants that accept it at a variable rate to reduce volatility making it attractive enough to be a viable cryptocurrency people actually use in commerce and not purely for speculative purposes. Minerva is a platform built on the Ethereum blockchain, and its primary token is Minerva OWL. It is an ERC20 token and cryptocurrency. The aim of Minerva is to address mainstream cryptocurrency adoption issues and provide partnered businesses with incentivized payment solutions. Minerva will be used on carefully selected platforms which are subjected to rigorous auditing and transparency agreements. It is unlikely we will consider parterning with any platform with a < 15,000 Alexa ranking. The core differences between Minerva and Bitcoin is that Minerva is designed to reward platforms that accept its OWL token with reverse transaction fees, as well as address the challenges of mainstream cryptocurrency adoption. Minerva is a platform and the OWL token is its currency. In addition to being a cryptocurrency, we are the world's first reverse merchant processor. Minerva is brought to you by Minerva Technologies S.a.r.l., a Luxembourg based blockchain technology company comprised of team members and advisors from around the world. ICO ETH Hard Cap: Every contribution will be based on $0.75 per Owl, before discount. The crowdfunding portal will be self adjusting to the current price of ETH (Ethereum) at the time of contribution. We will adjust the hard cap of the ICO, prior to the official launch, based on the amount raised in presale. If, $5MM raised presale, our ICO’s hard cap will be set to $30MM worth of ETH. (i.e. 85,715 ETH @ $350 ETH estimated market price). To ensure the hard cap can be reached without running out of tokens, we will be creating tokens as ETH (Ethereum) is sent to the crowdsale smart contract. Using a set price of $0.75 per Owl and factoring in the amount raised during pre sale, we can allow ourselves to reach hard cap without having to limit ourselves to our projected 60,000,000 Owl estimate. The primary issue with a discount model (and fluctuating price of ETH) is trying to cap the amount of tokens that can be distributed prior to launching the smart contracts. This method will let us reach our hard cap and make sure we can make good on our discounts. Side Note: If presale hard cap is not reached, the main adjustable number for our public ICO is the amount of ETH we accept in the 1% discount range. This will allow our discounts rates to be consistent and still reach our hard cap. Strong vision and Product! Best of luck guys! Haven't seen this idea so far. Could be a big deal!